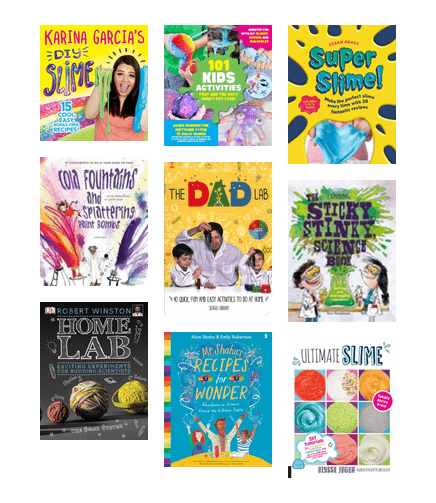 Bring science home with fun experiments using household items. 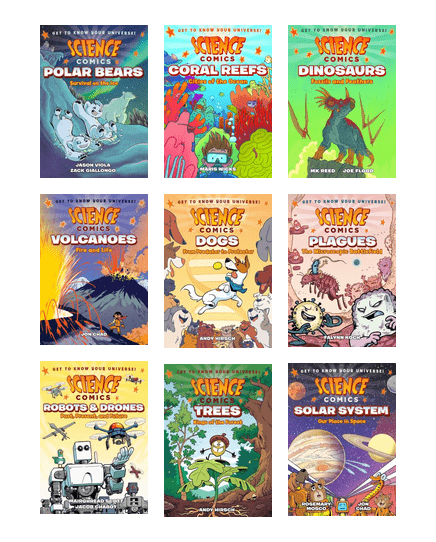 This series of graphic novels explores science in a fun and accessible way while explaining how cool parts of the world around us work. Get on board the STEAM train. 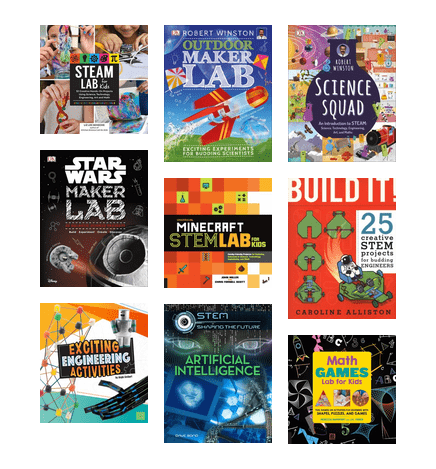 Get your kids excited about learning with fun new books with a focus on science, technology, engineering, art and mathematics. 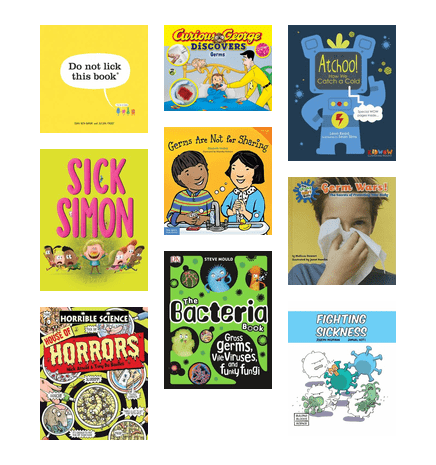 Assist little ones with learning abouth the importance of hygiene and health with these helpful books. 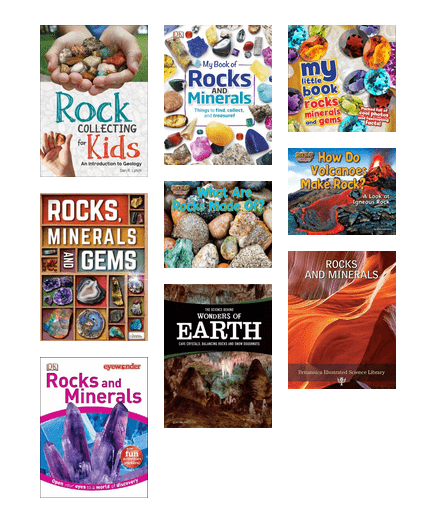 Collect and classify rocks and minerals with these fantastic books. Fun for free in the back yard. Bless you. Flu shot - check! Vitamins - check! Extra tissues - check! 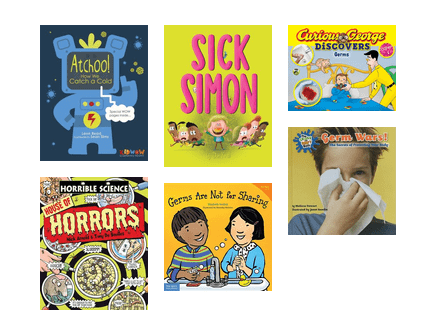 It's time to educate our little ones in the importance of hygiene. 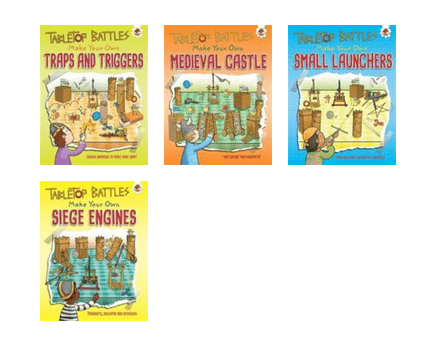 Create your own mini working historical weapons from such things as ice cream sticks and rubber bands. Now, where did I put my trebuchet? 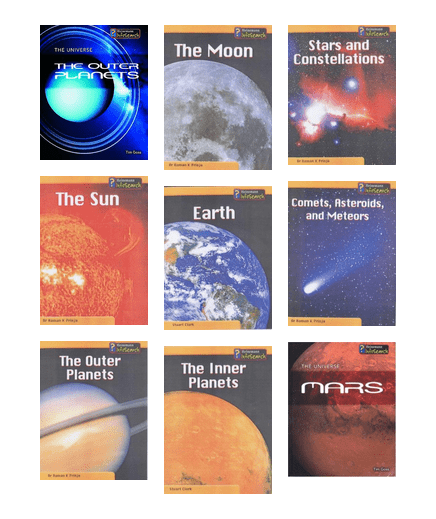 An educational series based on our Universe. Perfect for school projects.